By now, you’ve probably heard about the new Google algorithm update that rolled out on January 10, 2017. Many businesses and website owners scrambled to figure out how to survive the updates in the hopes that their site would not lose its ranking. It is a real concern when it comes to algorithms because Google decides how it will rank sites based on these algorithms. But, if you study this and break it down, it isn’t quite as scary as you might think. You just need to know what it is that Google is looking for and get to know the criteria so that you will be able to understand it. 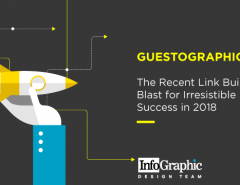 In this post, we will examine what the new changes are about and how you can ensure that your site will rank in 2017 or at least improve from its current status. 1. Mobile-friendliness– Mobile-friendliness is still one of the most important aspects that Google requires to rank your site. Mobile-friendliness includes many factors, but the most important thing is that your site has a high level of UX (user-friendliness) for mobile users. Does it load quickly on mobile devices? Can you navigate easily to different places on your site? Is the payout system easy to find and use? Is it void of pop-ups and annoying ads? All of these factors are important when it comes to mobile websites. Customers on mobile devices want to be able to find what they are looking for quickly and easily. They don’t want to spend lots of time trying to find what they want or to locate your navigation. Web responsiveness and loading time is of paramount importance. But you should also make sure that mobile customers are not having to scroll back and forth in order to see the navigation, pictures, or other assets. You should make sure that your site is easy to use, in short, and that it provides the same or similar value that a user would obtain when viewing your site from a traditional desktop computer. We will discuss the pop-up issue in the next section as it is an important part of this new update. 2. No mobile pop-ups– One of the new things that came out in the new algorithm updates is the fact that Google is punishing sites that use pop-ups within their mobile websites or apps. As a web owner, you should keep this in mind when building or rebuilding your site. 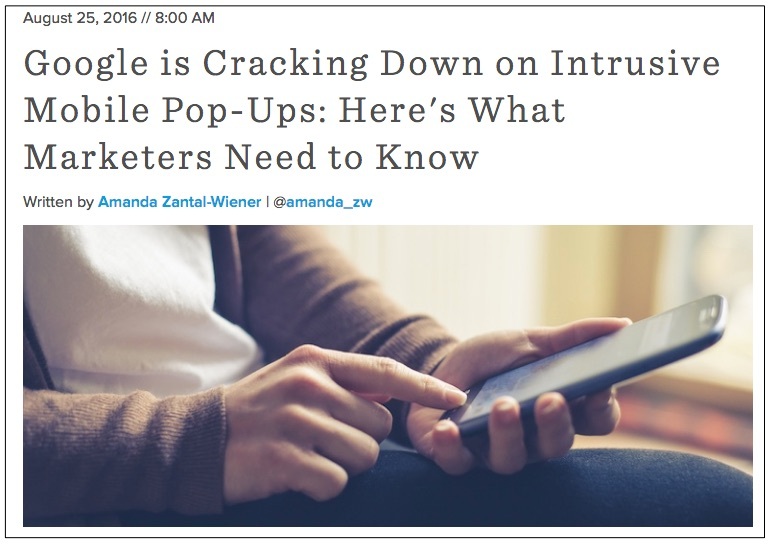 Pop-ups are annoying to customers as has been noted from complaints from customers using mobile devices. They want to be able to navigate their app or mobile site without having pop-ups come up and block their view. So you must make sure that your mobile ads to do not block their view or in any way get in the way of their UX (user experience) when on your site. This is so important that Hubspot has put out a blog post recommending that website owners not obsess about how to “fix” their pop-ups to be less evasive but instead to get rid of them altogether. Many web owners don’t want to hear this because they depend on pop-ups for some of their primary sources of revenue. But Hubspot states that you should start looking for ways to replace this income because Google has made it clear that you will lose ranking if you have pop-ups that are annoying to customers. Why take this risk? It’s best to just avoid pop-ups altogether and find ways to supplement any income you were making from these elements. If you lose rank with Google, you will be losing much more revenue than if you try to keep your pop-up ads and get dropped in ranking. 3. Excellent high-quality content– The most important aspect of your website should predominantly be high-quality content. This goes for your articles, media like videos, infographics, podcasts, and other media. People (and search engines) want good quality and consumers searching for information want excellent quality, and they want to find something of value that will help them make a viable purchase decision or to inform them on topics that are important to them. These three aspects of ranking are all important, and you should pay attention to them if you are trying to rank in 2017. If you are not sure if your site is mobile-friendly, you can use this online Google tool to see if your site is mobile-friendly. It will give you immediate results on how your site appears and functions with your mobile users, and they will even send you a detailed report later with the specifics of what you can do to improve your site. 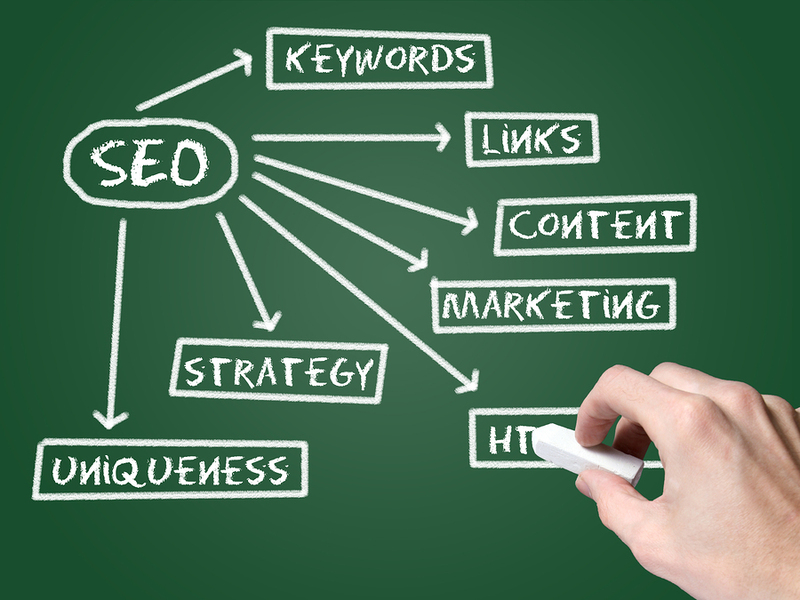 Outside of these tips, the best thing you can do is just to have a great site. One aspect of a great site is how well you use media to get your point across. Have you tried using an infographic to achieve this and to draw more attention to your brand? If not, you may want to try this. Infographics are a great way to share information with your target audience without having to write lines and lines of text. 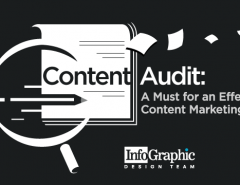 While articles work well for more precise and comprehensive information, people on mobile devices or those who are in a hurry will appreciate having an infographic that offers this same information in a more streamlined way that does not take as long to digest. 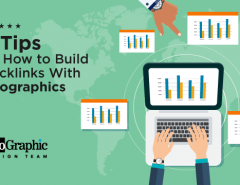 Infographics are also important because it gets you ranked in Google for images as well as your main website. Remember also that Google ranks every page in your site, not just one. 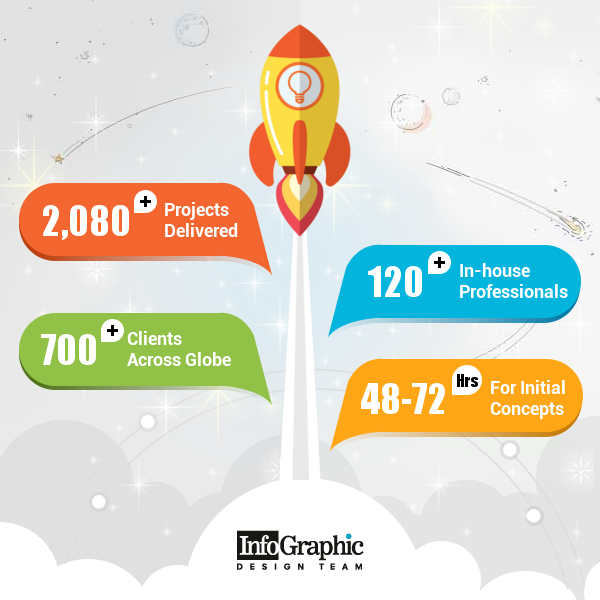 If you need an infographic but don’t know where to start, visit us at infographicdesignteam.com. 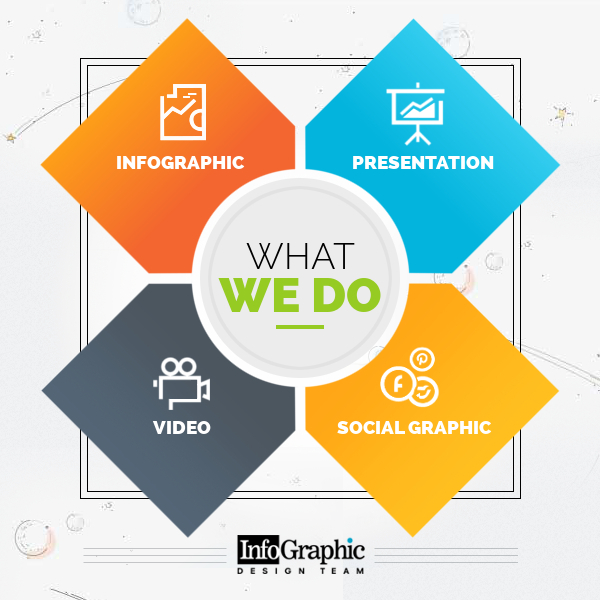 We create original infographics every day that helps brands to promote their ideas on their websites, blogs, and social media. Static infographics– Static infographics focus on the graphics only and are standalone types of infographics that you can post on your websites and blogs. They can be customized for your brand and you can include any type of data and information that your customers will find valuable. 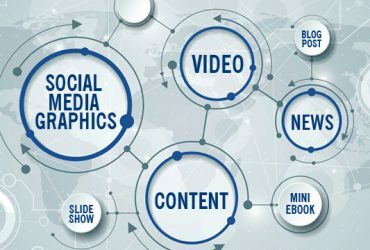 Video infographics– Video infographics are infographics that use information from a previously designed infographic or they can be originally created new infographics that use video to create a moving image type infographic. This is sometimes referred to as “2D” animation. Powerpoints– If you want to spice up your Powerpoint presentations, why not let us create a Powerpoint that includes dynamic infographics to get your point across? Social media infographics– Social media has very specific criteria for infographics. We know what these are and we can help you create an infographic that will work on all of your types of social media so you can promote it to your social media audiences. Take a look at our portfolio and you will see examples of many of these.